The Cylindro Conical Dryer CCD with a central shaft agitator was developed to be used both as a dryer (e.g. 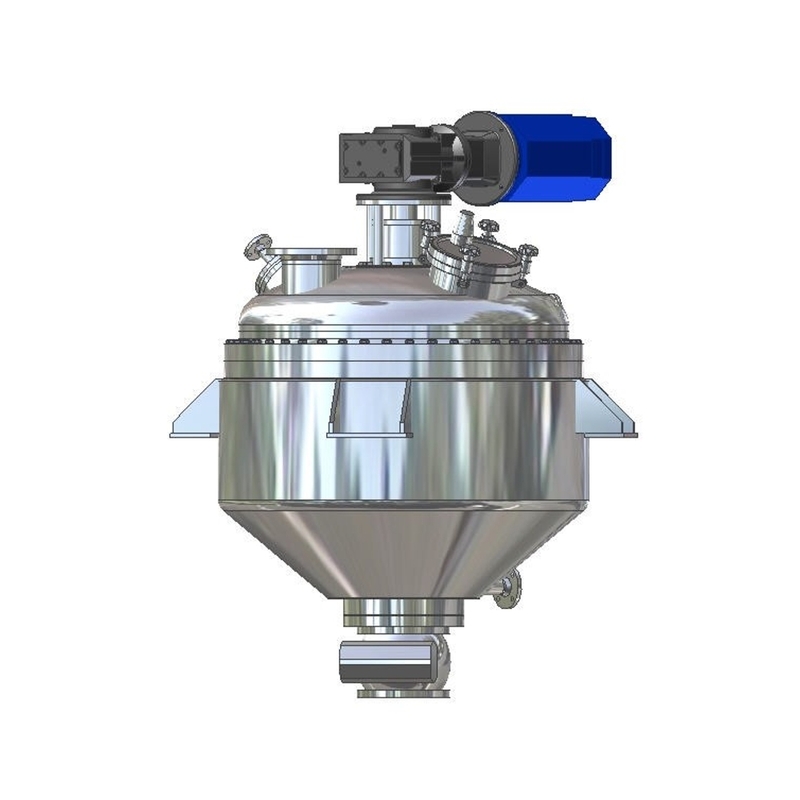 for filter cake) and also an evaporator when products have to pass a critical phase change from fully liquid to final bulk solid. The robust mixing element is showing its effective performance also during liquid and high viscous pasty phase to finally achieve the desired solid phase. As a dryer it is designed with a vacuum-/pressure rated vessel, heating jacket and integrated dust filter. Like for the CCM (Cylindro Conical Mixer) also the CCD offers a big advantage with a compact and space saving design.